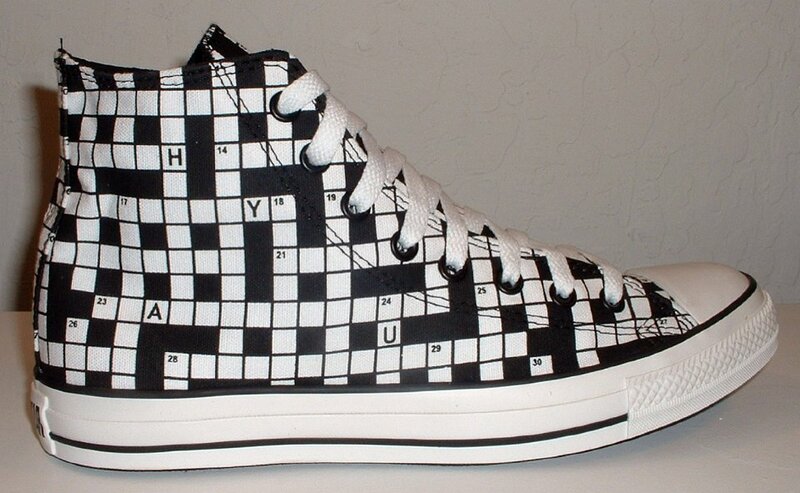 Photo gallery of crossword puzzle print high top chucks. 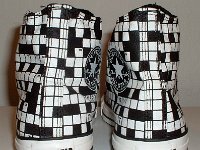 1 Crossword Puzzle Print High Top Chucks Inside patch view of a left crossword puzzle print high top. 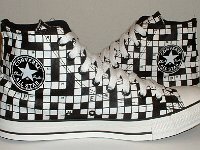 2 Crossword Puzzle Print High Top Chucks Outside view of a left crossword puzzle print high top. 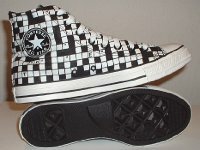 3 Crossword Puzzle Print High Top Chucks Inside patch view of a right crossword puzzle print high top. 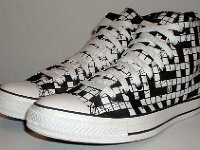 4 Crossword Puzzle Print High Top Chucks Outside view of a right crossword puzzle print high top. 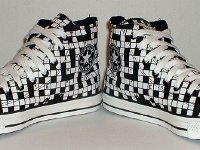 5 Crossword Puzzle Print High Top Chucks Rear view of crossword puzzle print high tops. 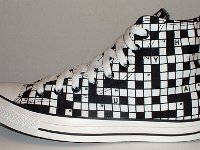 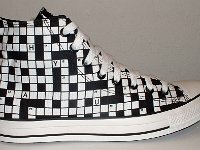 6 Crossword Puzzle Print High Top Chucks Angled side view of crossword puzzle print high tops. 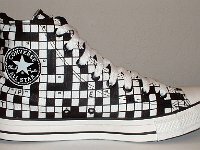 7 Crossword Puzzle Print High Top Chucks Front view of crossword puzzle print high tops. 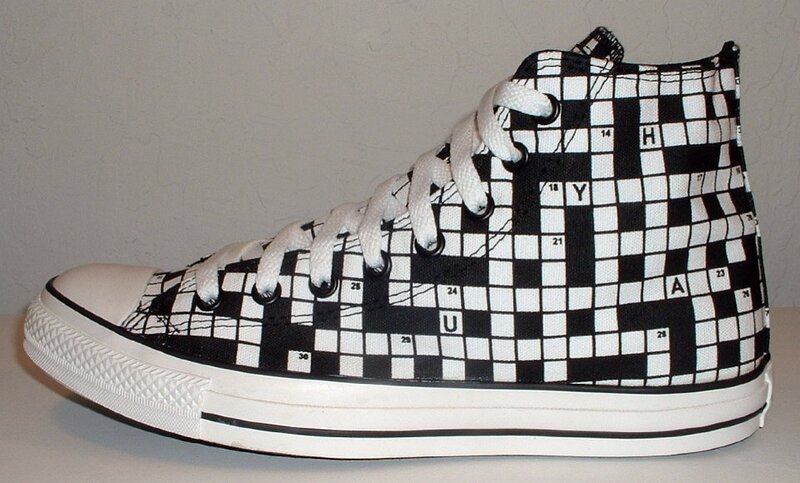 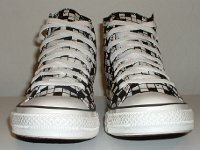 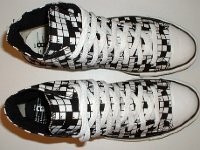 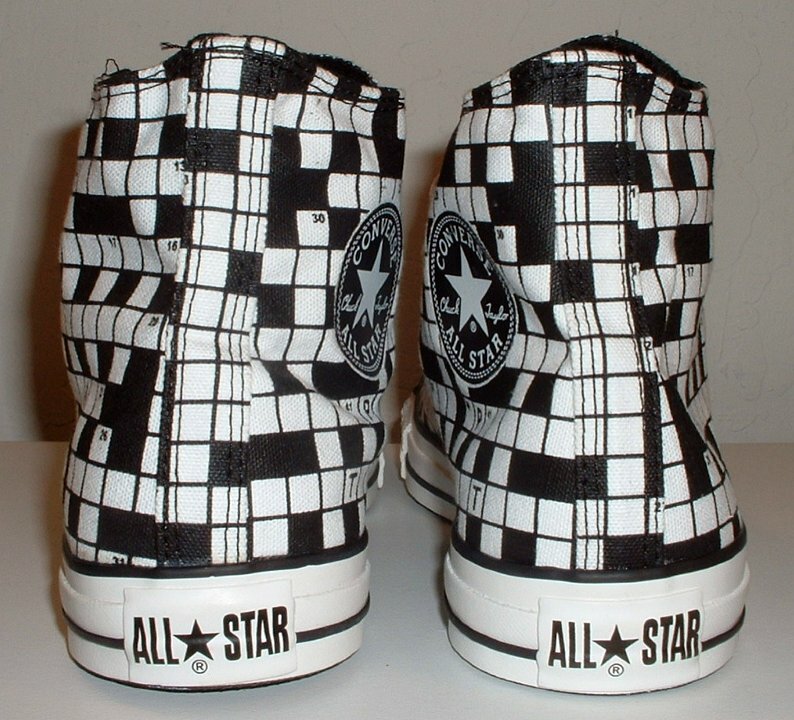 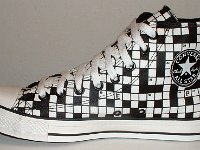 8 Crossword Puzzle Print High Top Chucks Angled inside patch views of crossword puzzle print high tops. 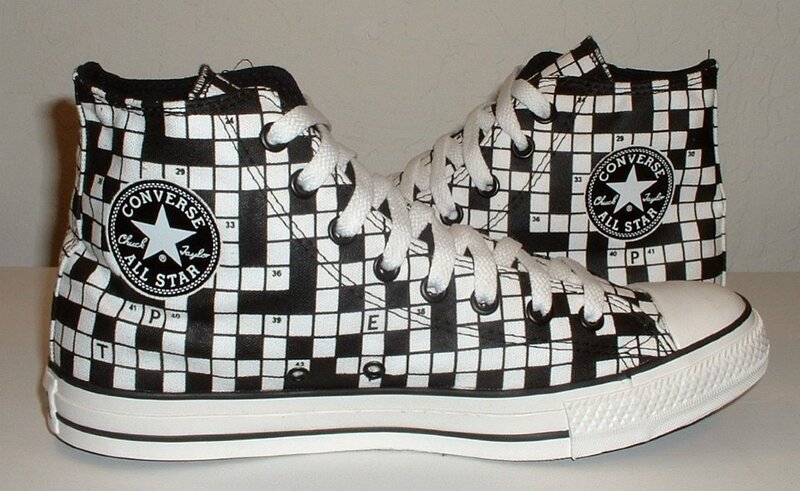 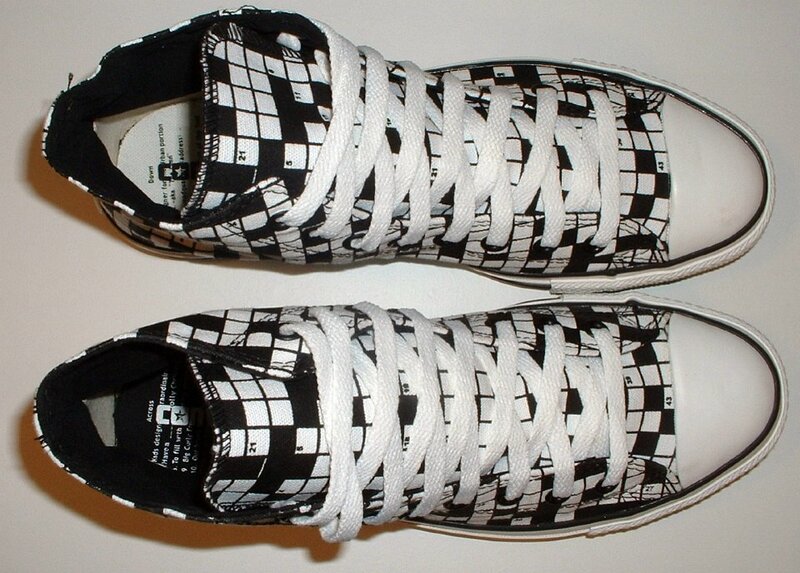 9 Crossword Puzzle Print High Top Chucks Inside patch views of crossword puzzle print high tops. 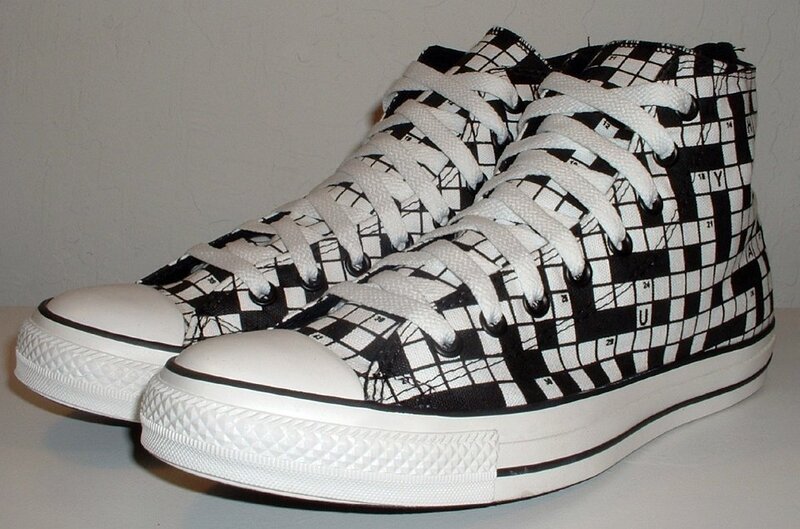 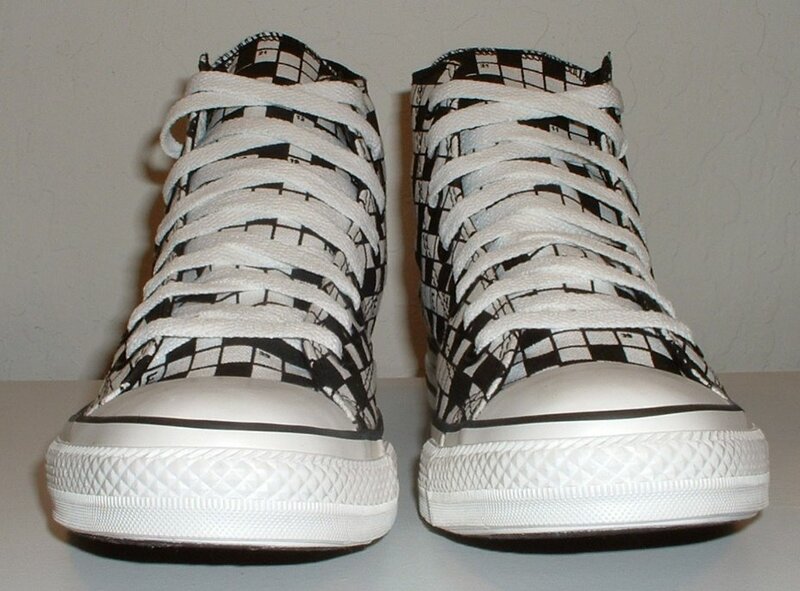 10 Crossword Puzzle Print High Top Chucks Top view of crossword puzzle print high tops. 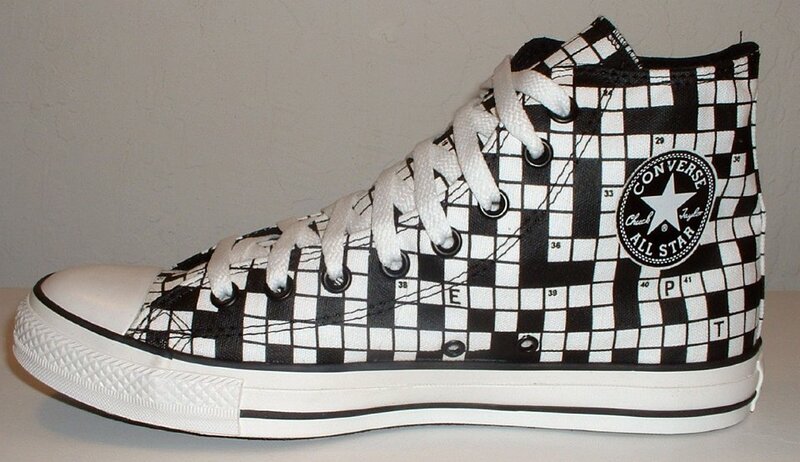 11 Crossword Puzzle Print High Top Chucks Inside patch and sole views of crossword puzzle print high tops. 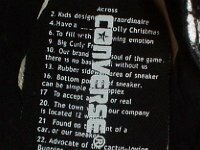 12 Crossword Puzzle Print High Top Chucks Close up of the clues from the left insole of a crossword puzzle print high top. 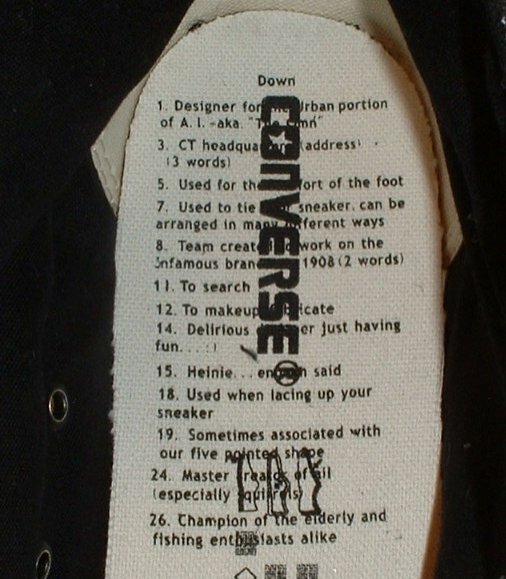 13 Crossword Puzzle Print High Top Chucks Close up of the clues from the right insole of a crossword puzzle print high top. 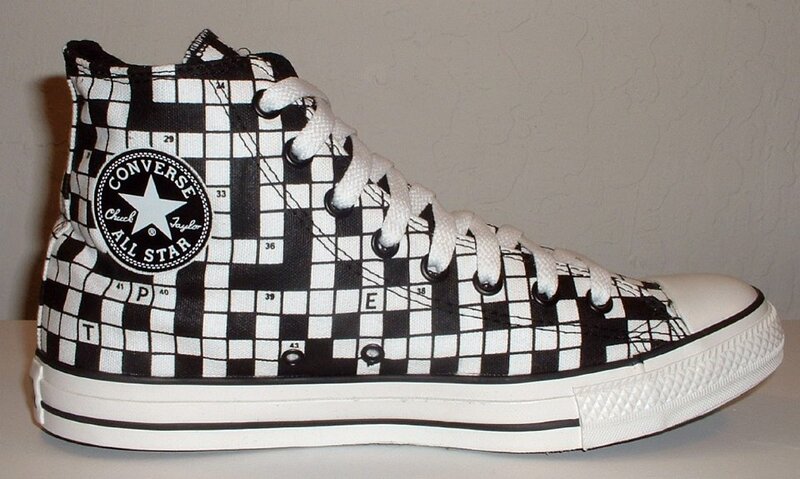 These high tops were a seasonal model issued in tribute to crossword puzzle fans. 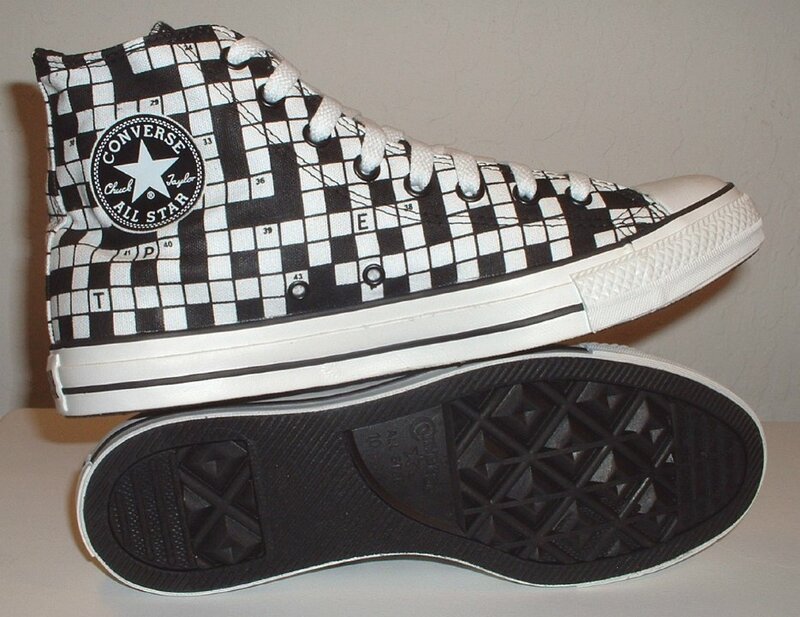 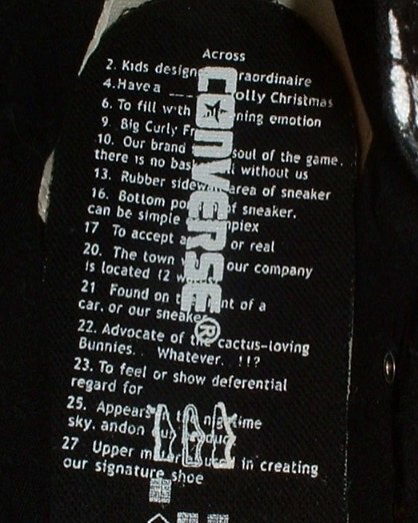 In addition to the puzzle print on the canvas uppers, the insoles have the clues for the puzzle, white on black inside the right shoe, and black on white inside the left insole. 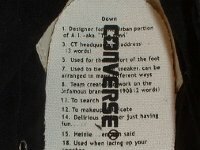 The ankle patch is black with a white star and lettering.